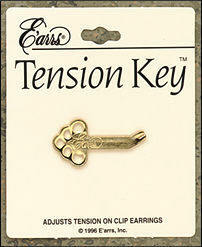 This specially designed key with a slotted tip easily adjusts the tension of a clip earring. 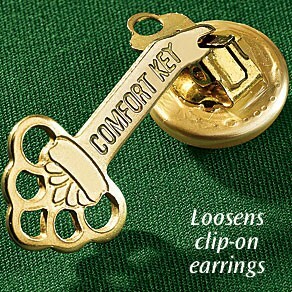 Simply insert the slotted key tip into the middle "spring" of the clip portion of a clip earring and very gently bend away from the earring to loosen tension and toward the earring to tighten. The package contains 1 metal key. One inch square pieces of specially formulated paper absorb natural tarnish causing airborne pollutants, keeping your jewelry clean and tarnish free. Ideal for use in jewelry boxes, travel cases, silver trays, etc. 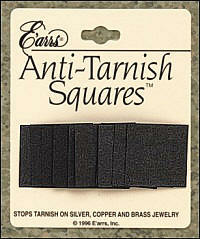 A medium sized jewelry box needs two or three Anti-Tarnish Squares to prevent tarnishing. Replace every 6 months for best results. The package contains 10 squares. 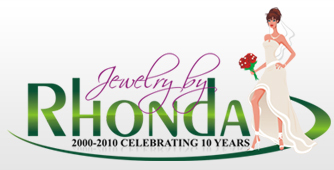 Click here to learn more about silver tarnish protection. 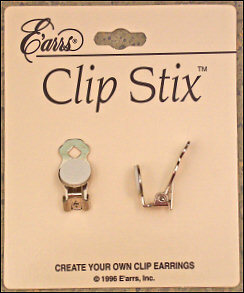 Ideal for converting pierced earrings to clip earrings or create your own earrings! Great for craft projects - just peel off the tape to expose adhesive dots! 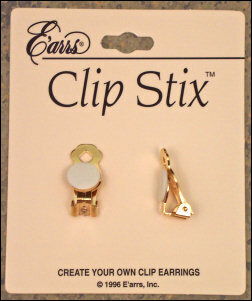 E'arrs® Clip Stix™ re silver tone (not sterling silver) or gold tone (not gold or gold-filled). The package contains one pair. 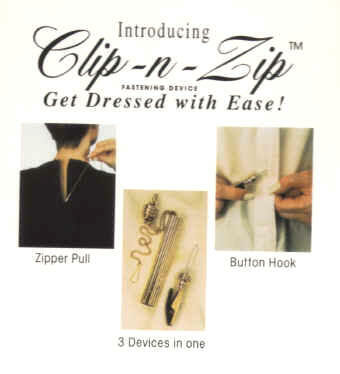 This unique and very useful product was designed by a nurse, it can be used as follows: bracelet fastener, zipper pull and a button hook. Make getting dressed a little easier!